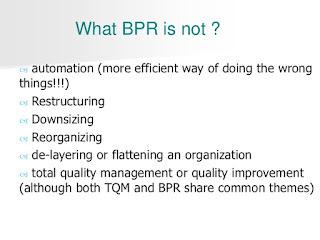 Musings 'n scribblings of a philanthrope .. : Some more aspects of BPR .. 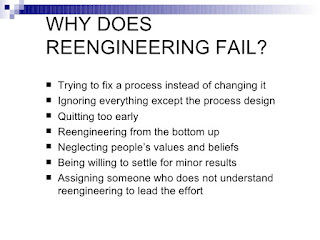 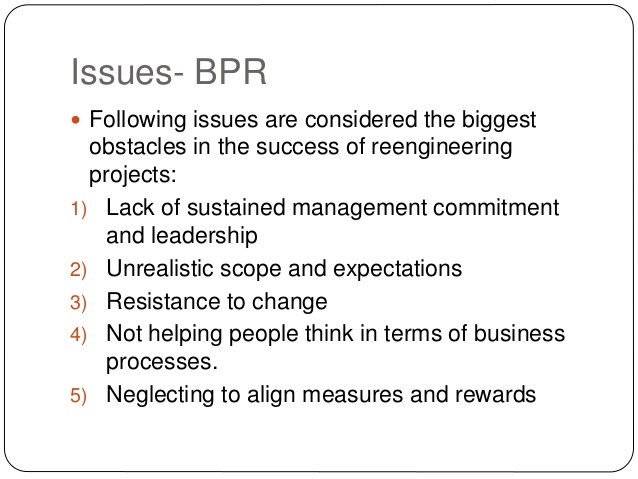 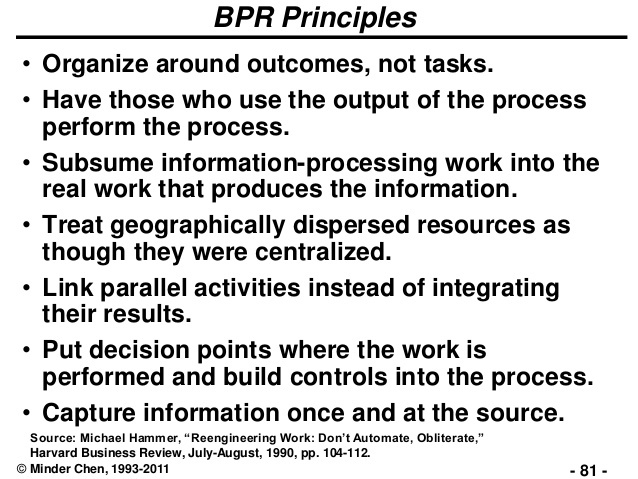 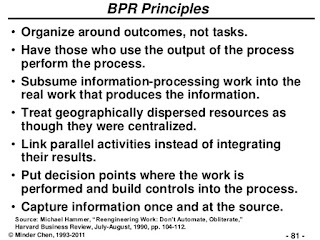 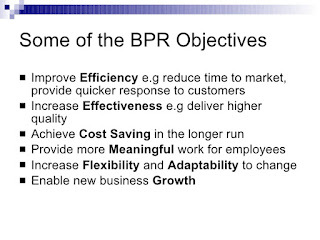 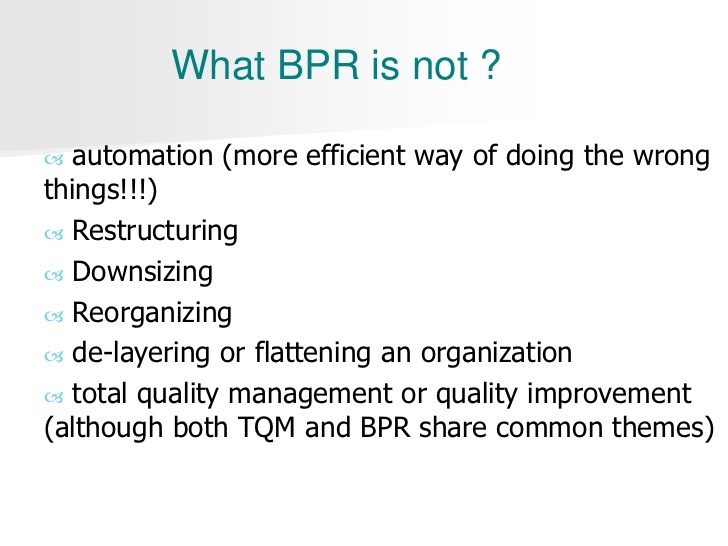 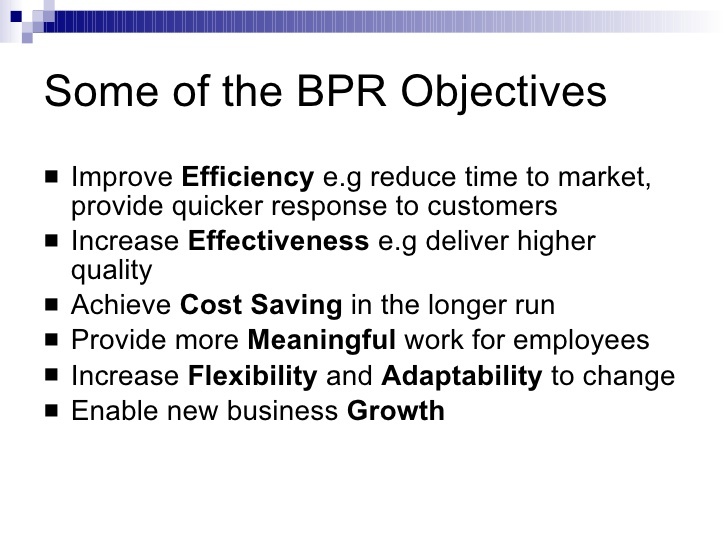 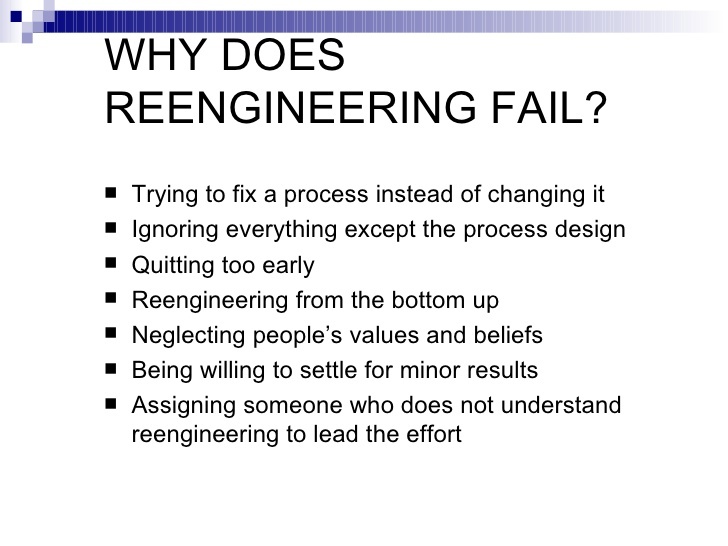 These slides give some very vital aspects of BPR. 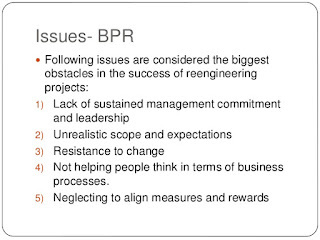 It helps us to demystify the common misconceptions of BPR in the minds of the public and organisations.